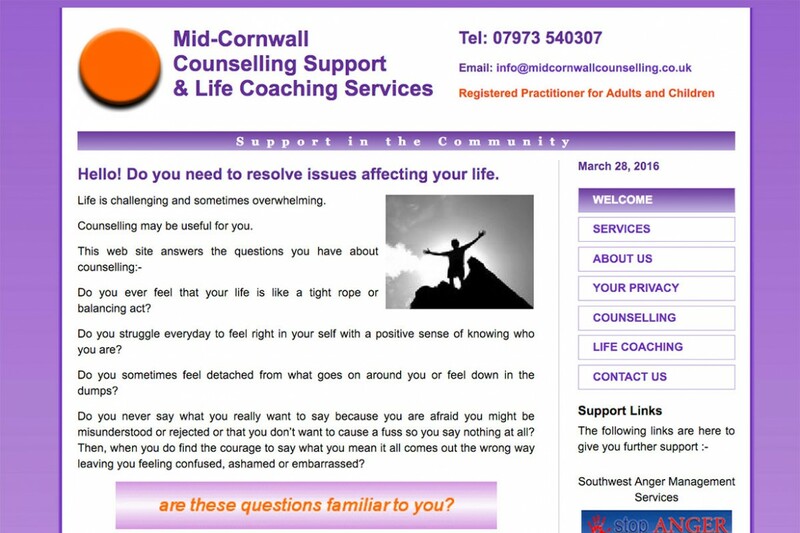 This is a static website to give simple details and contact details for Counselling in Cornwall. Life is challenging and sometimes overwhelming so this website is there to help and answer questions you have about counselling. Very simple and easy navigation with direct access to contact numbers from every page.